Every year during Thanksgiving time, we usually celebrate our Hmong new year. There is a big festival downtown and everyone would wear their Hmong clothes. Yes, even in the winter. Put away your coats, and take out your high heels. The Hmong New year is to celebrate the unity of families, relatives, and friends. Because we worked so hard in the year, this is the time to come together and rest. Time to take out your best outfit. During this time of the year, we usually have a big feast from the Thanksgiving dinners. We eat both western and Hmong food. Then we get ready, dress up and go downtown. What happens in the New Year? Our festival is called New Year. First, you can walk around the small shops that are set up. See what they are selling, buy some gifts, movies, clothes, or CDs. 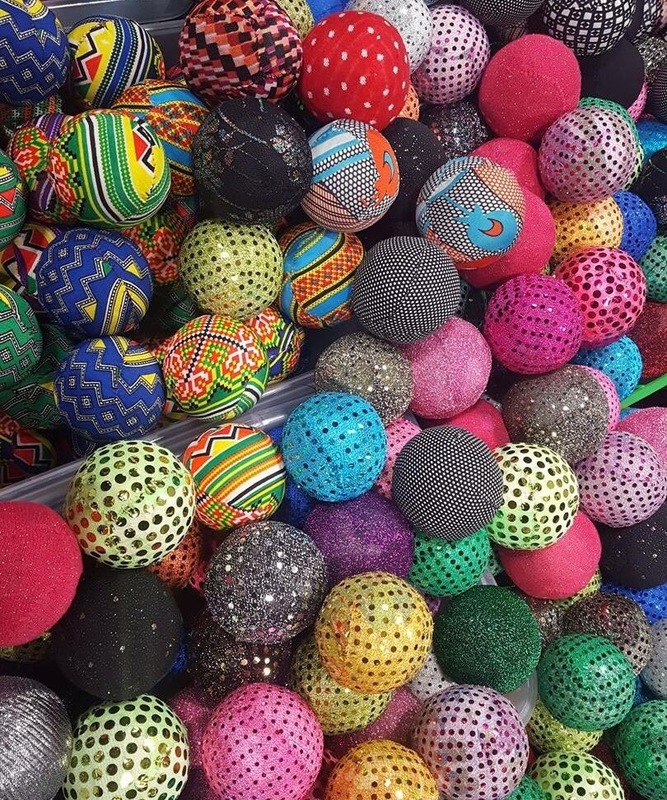 Then you can buy a ball or bring your own and stand in a line with the other people to start ball tossing. This is an activity where you toss a ball back and forth with a partner. In ancient times, it was used as a way of courting women. While throwing the ball back and forth, they sing songs to each other. If they really like each other, the next year the man can come and marry her. It is even said, that if a person did not catch the ball then they might have to give up one of their accessories. But now a day we only keep the tradition so we can have some fun. After some ball tossing, you can go sit down and watch the entertainment show. There are different contests. There are dancing and singing contest for different age groups. There is also a miss Hmong pageant show for the three days. They will announce the winner on the third day. Sometimes she may even win a car and some money for college. This is the most fun part because the performances are really interesting. They have spent the whole year practicing just for the competitions. And lastly, you can also meet up with other friends, walk some more and chat to catch up on life. Here is a video of Hmong New Year in MN. Here is Hmong New Year that took place in California. They had it better since it doesn’t snow there.